After this summer, when we finished basement adaptation, we continue the development of our model project. 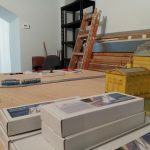 The plan is that the trains from the existing premises, through a tunnel in the wall, move to the next room, where they will continue driving on the newly built part of the model. Sounds simple. But it is not. The tunnel is much lower than the predicted height of the model and a problem of how to raise the train to the required height appeared. In everyday life, to go to higher floors we use an elevator, so an idea was born to solve this problem the same way. Sounds logical, but not so easy. There are a lot of home lift manufacturers on the market, but for our purposes it was necessary to re-find a special technical solution. And so our, already a proven team of innovators, received a new task. 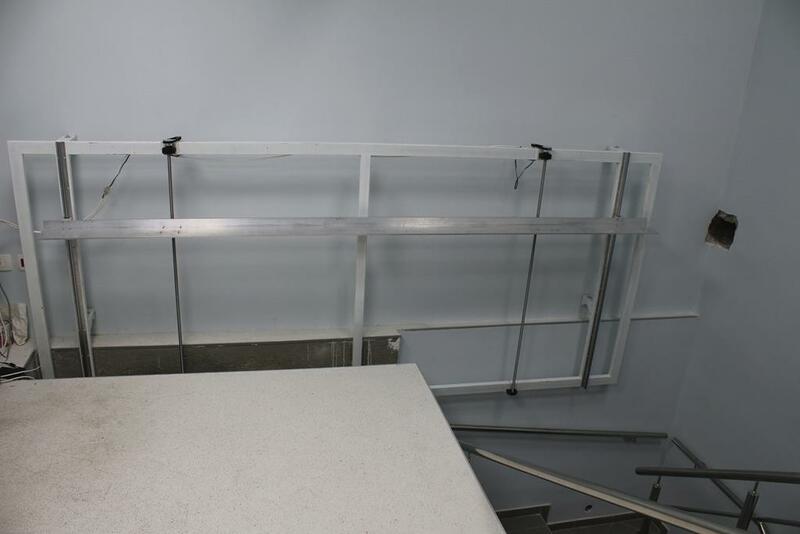 The result of their work is a lift that can hold up to two trainsets with a length of over 3m (the length of the lift is 340 cm and has two tracks). The lifts maximum vertical distance is 140 cm, so with that the problem of different levels is resolved (connects four levels: two on a model in the new room, one in the old room and one in the basement, where one day development of the model will be continued). A computer is in charge for the control of the elevator and for its safe operation, which is for this purpose connected via 50 information channels. Well done guys!